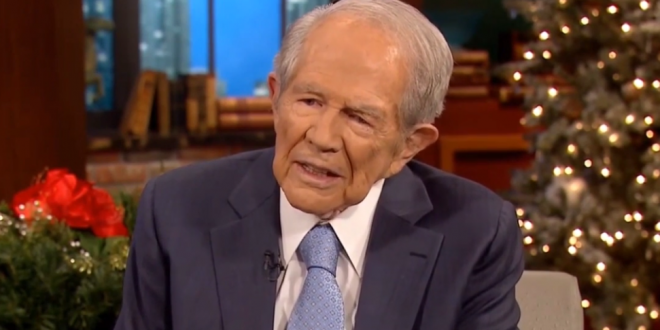 Pat Robertson: GHWB Only Launched The First Gulf War After I Told Him God Told Me It Would Be Successful - Joe.My.God. Speaking today on The 700 Club, Pat Robertson declared that George H.W. Bush only launched the first Gulf War after Robertson assured him in person that God had said it would be a success. “He was in the Oval Office and just at that time, his representative in Geneva had been meeting with a representative of Saddam Hussein and the talks had broken down,” Robertson recalled.